You are here: HomenextServicesnextPublic TransportnextRailwaysnextSteam Train at Laindon Station 7th March 2015. This Cathedral Express trip is from Southend to Bath & Bristol. 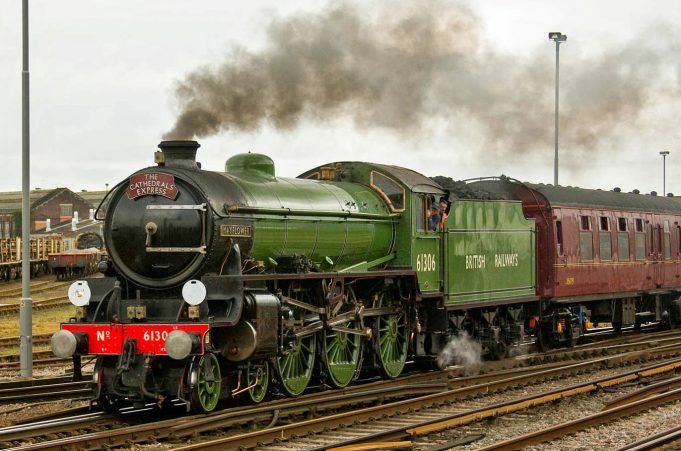 The train will be hauled by “B1 locomotive 61306 Mayflower” from Southend to West London. It leaves Southend at 8:45 am arriving at Basildon approx. 9:00 am for a stop. It should pass through Laindon Station between 9:05 – 9:15 am but will not be stopping there. Hopefully there will be an opportunity to take some photos of this rare and nostalgic sight as the ‘Mayflower’ steams her way up the line. From West London, the train will be hauled by diesel to Bath & Bristol. It will return in the evening passing through Laindon (Non Steam) approx. 9:25 – 9:35 pm, reaching Basildon at around 9:45 pm, before continuing to Southend.